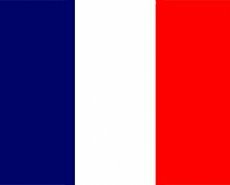 The new anti-piracy project in France won’t see the infringer put in jail, but it will terminate his of her Internet connection. The new approach has already started a heated controversy. The plan is supposed to work in a baseball sort of way: "three strikes and you’re out". Users will first receive two warnings from their ISPs, with a third warning arriving in the form of “no internet connection available from now on”. The new system will be created by an independent panel supervised by a court official. French President Nicolas Sarkozy was one of the first to back the new idea. Sarkozy stated that the new anti-piracy measures set a "decisive moment for the future of a civilized Internet," and later on insisted that they are needed in order to prevent the "witnessing a genuine destruction of culture." Such statements come in the footsteps of recent reports from the Syndicat National de l’Edition Phonographique (SNEP), the French version of the US RIAA, which claim that music sales have been seriously harmed by file-sharing. According to SNEP’s figures, the music sales have been going downhill starting back in 2002 and up till now the losses are up to 40%. On the other hand, there’s also a strong group opposing the new legal initiative. UFC Que Choisir consumer group was the first one to criticize the project as "potentially destructive of freedom, anti-economic and against digital history."